We, the officers of the various law enforcement agencies within the communities under our jurisdiction are of the opinion that it is to the best interests of the members of our profession, do hereby unite under the name of Owensboro Lodge No. 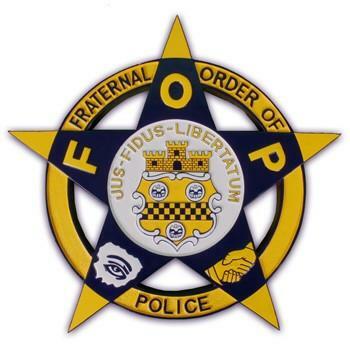 16, Fraternal Order of Police; at Owensboro, Kentucky, this 27th day of February, 1956; and do hereby associate ourselves together with other subordinate lodges throughout the nation for the following purposes: To support and defend the Constitution of the United States; to inculcate loyalty and allegiance to the United States of America; to promote and foster the enforcement of law and order; to improve the individual proficiency of our members in the performance of their duties; to encourage social, charitable and educational activities among policemen; to advocate and strive for uniform application of the Civil Service Merit System for appointment and promotion; to create a tradition of esprit de corps insuring fidelity to duty under all conditions and circumstances; to cultivate a spirit of fraternalism and mutual helpfulness among our members and the people we serve; to increase the efficiency of the police profession and thus more firmly to establish the confidence of the public in the service dedicated to the protection of life and property.. Lodge #16 is dedicated to bettering the community we serve and protecting the rights of our members in the law enforcement community. 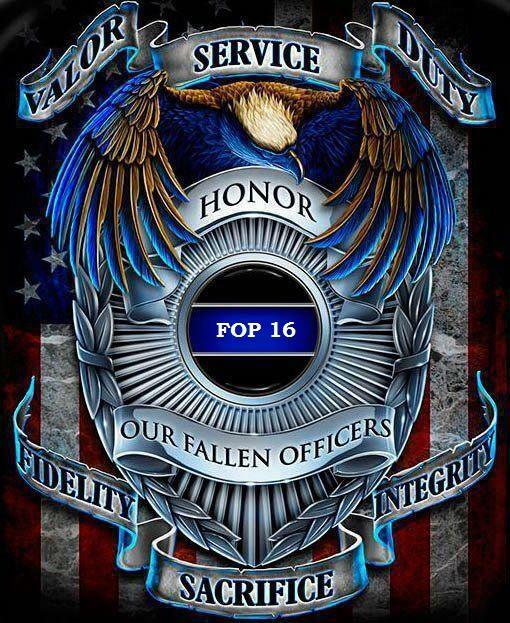 If you would like to donate to FOP #16 to help promote the many community programs we put on throughout the year, please use the link to the right that says "DONATIONS". Thank you in advance for supporting our lodge, your law enforcement officers and our community! click on the white area below and choose which payment you want.